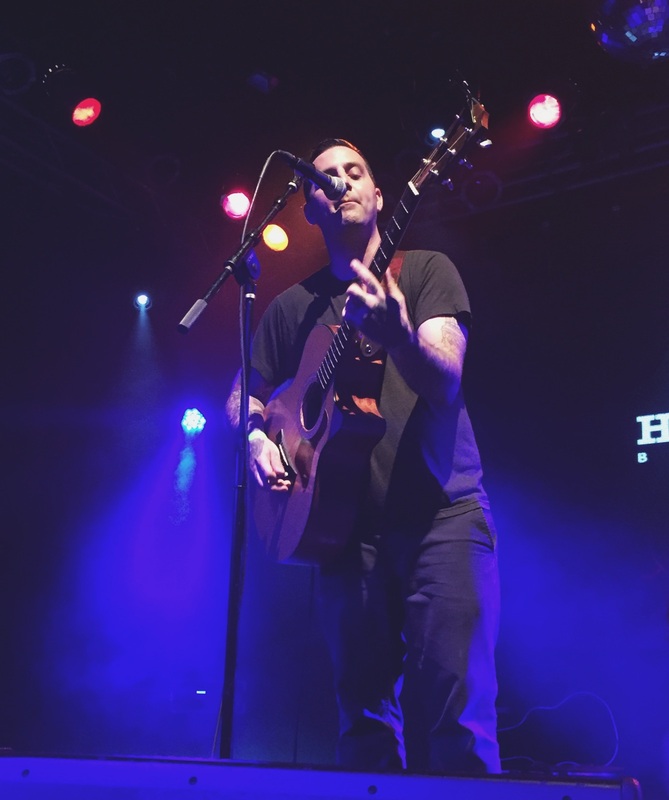 Saturday, July 18th Anthony Raneri came home to New York City to perform some songs for his very dedicated fans. “Sorry State of Mind”, Raneri’s second solo acoustic album, was released June 30th on Hopeless records and the past few weeks have been dedicated to his solo tour. He brought out Allison Weiss and Tiny Stills for support. 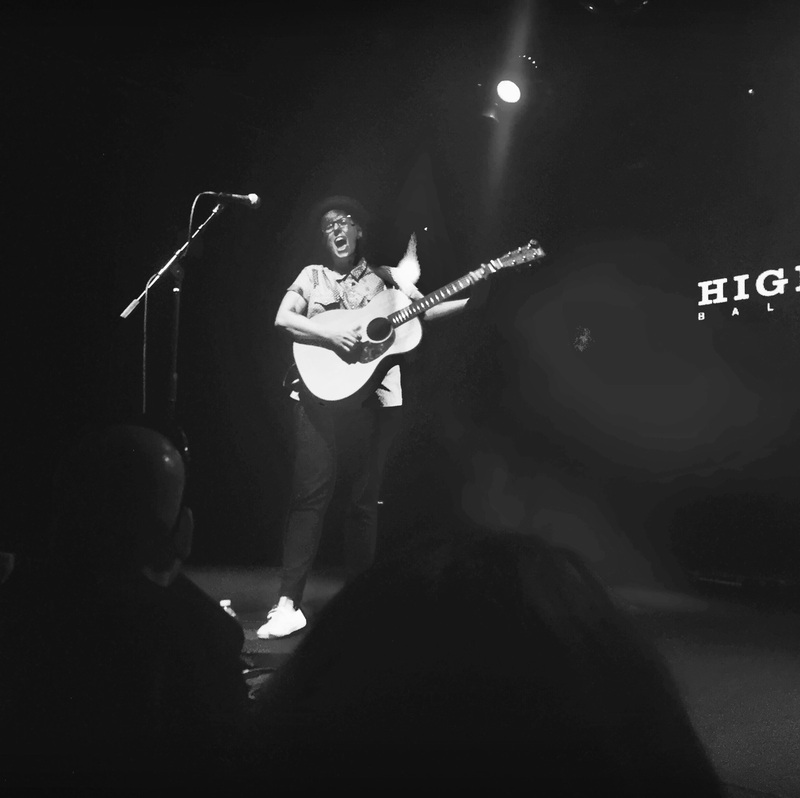 Highline Ballroom had a very unique energy in the room Saturday night. Everybody seemed to be having a great time whether they were pressed up against the stage or sitting at the back booths with a drink in their hand. Fans were ecstatic to have a great night in the city listening to some acoustic performances. First up was Tiny Stills, whom is a girl named Kailynn West. She got up on the stage and told the crowd that her being on the tour was a last minute thing because What’s Eating Gilbert had to drop off, but soon fans would realize it was an amazing decision for her to be there. Tiny Stills’ performance was refreshing and entertaining. She sang songs about things that everybody could relate to, like watching Netflix, getting your heart broken, and just being 20-something in general. Between sets she was just as entertaining when talking about her ex boyfriend and just making the whole crowd chuckle. I know for a fact that I hope to hear more from her in the future. Next up was Allison Weiss, whom has been a name floating around the music scene for a few years now. The first time I heard of her was when she played in the Acoustic Basement at Warped Tour last year, though I had never actually listened to her music and was not sure what to expect. As soon as Allison started performing I knew this would be a set that would be extremely memorable. There is so much passion in such a small girl. Just like we had experienced between sets with Tiny Stills, Allison has a very charming and witty personality. She made the crowd laugh countless times and made her set so personal to her fans, which I thought was really awesome. It was more of a conversation than a show. The way that Allison talked about Anthony and the way that they joked around together showed just how much chemistry they had as tour mates. They were the perfect fit to tour together. Both fan bases seemed to enjoy each other’s music, also. Next up was what everyone had been waiting for, Anthony Raneri. Anthony took the stage and immediately went into the title track of his newest release, “Sorry State of Mind.” So many fans were singing along and seemed to already know all the words. He immediately followed with “Don’t Call Me Peanut,” a fan favorite and the whole place was actively singing the whole song. Throughout Anthony’s set, there were many Bayside favorites such as “Already Gone”, “I and I”, and “Blame It On Bad Luck.” He chose a great variety of songs from all albums and kept the crowd ecstatic the whole time. There are still several stops of this tour, it is a must see. 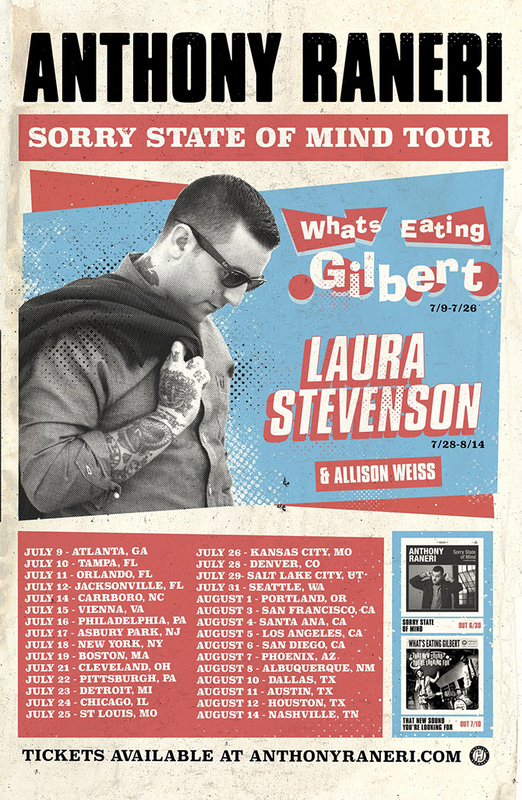 Go to one of the remaining shows if it stops in your city!